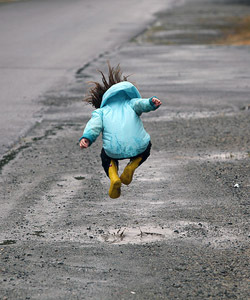 Rainy days can become stressful for children and parents as they try to keep entertained day after rainy day. Here are some activities that I love, which will help to make those long rainy days much more enjoyable. And the best bit – you don’t have to buy anything because most of these activities are free! If you don’t already have a mini Ten Pin Bowling set – then make one! 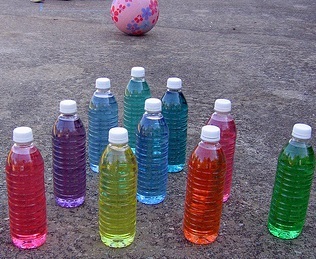 All you need are ten plastic bottles and a ball. If you would like to make them a little more colourful you can either paint them or fill them with coloured water. Then set them up in a corridor and the whole family can play for hours. Great for learning to aim, turn take and getting some exercise! Puzzles are not only wonderful for learning about patterns, shapes, sorting, matching, cognitive and fine motor development but are also lots of fun. 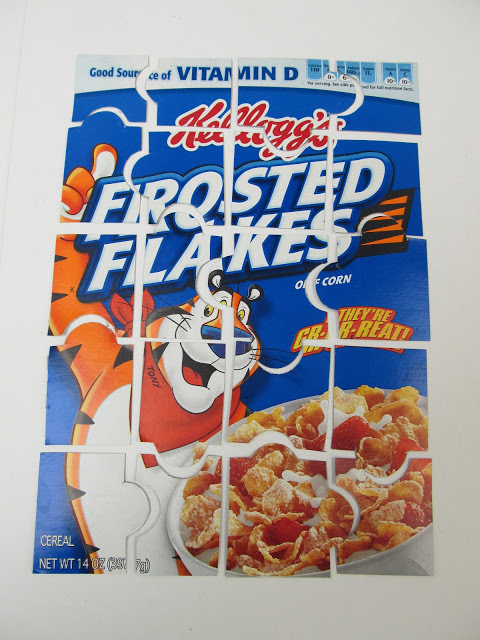 Pull out all the puzzles you own that are age appropriate for your children and then see how many you can do. Even better – make your own! Collect cereal boxes, old calendar pages, magazine pictures, photos of your family or draw a picture. If they are not on thick paper, glue them onto a piece of cardboard and draw a jig saw pattern on the back then help your child cut it out. This will keep them amused for ages! Rainy winter days make me want to eat sugar and although cupcakes are only a ‘sometime food’ – weekends are the perfect time to treat yourself and your children! Use your favourite recipe or use a good quality packet mix. I like Greens butter cake or vanilla cake mix but there are many to choose from. 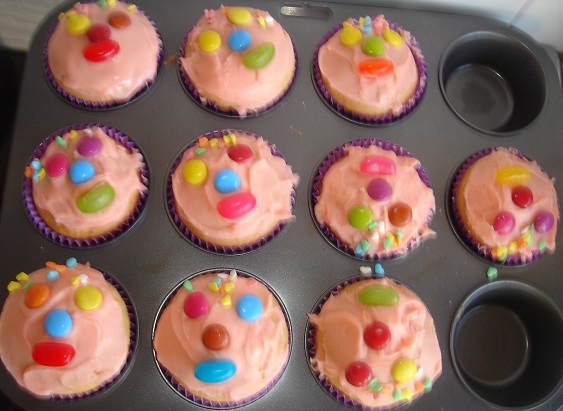 Then with some food colouring, lollies, sprinkles and other edible treats, you can turn your cupcakes into anything that your imagination allows. Lots of skills to be learnt too but especially how to cook and develop creativity. Enjoy! This activity is so much fun! All you need is a magnet and children will be entertained for hours. The best way to do this is to get three bowls. Put a sign on one that says NM for non-magnetic and a sign on the second one that says M for magnetic. Then get your children to collect as many small items that they can find from around your house and place them in the middle bowl. Your child can pick up one item at a time from the middle bowl and place the magnet on it. Explain that if it sticks to the magnet it is magnetic and if it doesn’t then it is not. Show them how to place the item in the appropriate bowl. This a wonderful sorting activity as well as teaching about magnets. As an alternative or extra activity, get your child to experiment with the magnet in each room of the house, finding out what is magnetic and what is not. Have a great time experimenting and exploring! Building is fantastic for fine motor, hand-eye coordination, imagination, creativity and so many other wonderful skills. You can build using lots of fancy store bought construction sets such as Duplo, Lego, Mega blocks etc. Or you can collect many different sized and shaped boxes, cardboard pieces and rolls to use for your creation. Then children can spend time decorating with pencils, crayons, fancy paper, paints and whatever items you have at home. And after that they can play with whatever they have built. Hours of enjoyment to be had! 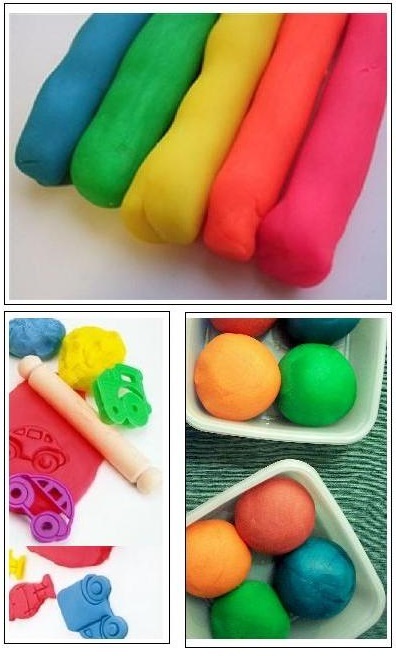 Another fantastic creative activity and you can you use anything you want! All you need is some paper or cardboard, some glue and anything you can find to create with. 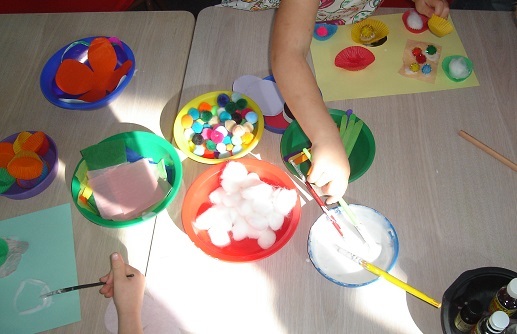 Some colourful ideas are: coloured pom poms, patty pans, cotton balls, glitter, paddle pop sticks, lolly wrappers, essence (to add different smells), wool, shredded paper, different textured and coloured papers, magazines, old cards and so on. The possibilities are endless so get creating with your kids and make an amazing collage! 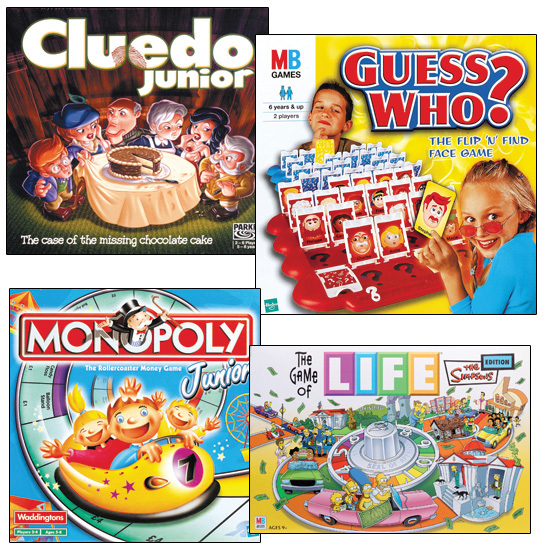 Most people have several board games in their cupboard that they don’t use often enough but board games can provide so much entertainment and wonderful bonding family time. There are so many skills children can learn from playing board games – especially as part of a family. They learn to share and take turns as well as understanding rules and how to play games. In addition to playing store bought games, children can make their own. First get them to think about what the aim of the game will be and then help them write out a set of rules about how the game will take place and what will happen step by step. Once the rules and directions have been written in a draft you can get creative and make the actual board and pieces needed to play your own game. Family, family and more beautiful family time! Reading is one of the most wonderfully amazing things anyone can do – and not only on rainy days! Find books that your children will love and you will be giving them one of the best gifts possible. There are so many fantastic books out there for children that I could not even begin to list them. 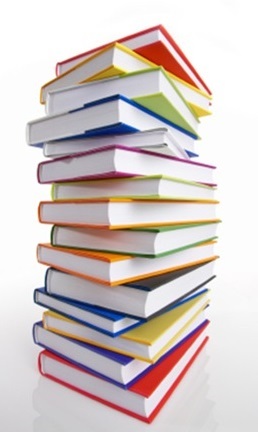 Visit your local library or book store and choose a variety of fiction and non fiction, picture books, and novels that you can read to your children or that they can read to themselves depending on their age and reading ability. Get them to make their own as well! At a younger age you can get them to tell you what to write and you can write the words to match their pictures but older children can most definitely create their own books. Books and reading are more special and important than I can even say so make them a big part of your child’s life! Lots of rainy day fun!